We will assume that you have read this handbook. It contains information, advice and guidance. If you do not pay attention to what it says, we may need to make deductions from your deposit. 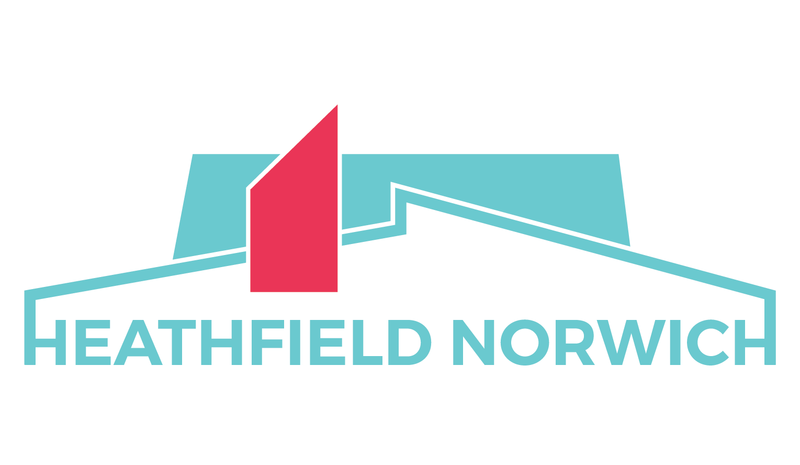 We are delighted to be welcoming you to live at Heathfield Norwich. We are David and Sarah Patey, the owners of Heathfield, and we live in the small bungalow at the front of the site. We both have offices in the main building. At Heathfield we aim to offer an enjoyable experience to a diverse student community, in which enriching friendships will develop and flourish. This handbook is intended to answer any questions you may have about living at Heathfield. Please take time to read it carefully. Your welcome pack on arrival includes a hard copy – please keep it somewhere handy for reference. To contact the police, an ambulance or fire and rescue, call 999 and ask for the service you need. Then contact Reception or the duty mobile number (07422 972 481) to inform us. If you feel unwell but not in need of an emergency ambulance, call the NHS helpline on 111 for medical advice (24 hrs). Reception opening hours are 9–11am and 5–7pm. It is likely that either David or Sarah will be in his/her office at other times too, but this cannot be guaranteed. The office number is 01603 622 171. Out of hours duty mobile number: 07422 972 481. If something does not work, please do not assume that we know about it. Please write it in the Repairs Book in Reception. If the problem is urgent (for example, if there is a water leak), please contact the office or the duty mobile (07422 972 481) immediately. Your room has plenty of storage space in a large wardrobe, and extra space above it. There is also a washbasin in each room. The cold water supply to your washbasin is drinkable. There is storage space under the washbasin – we strongly recommend that you do not store any electrical equipment here. There is a radiator in each room, which you will be able to regulate yourself when the heating is on. Generally, the heating in the building will be switched on in October and switched off in May. The East of England can have cold days even during the summer months, so make sure you have at least one warm sweater. Heathfield is keen to be environmentally responsible, so if you are feeling cold, put on your sweater before you think of turning up the heating. • Your window is fitted with a restrictor for your security. Do not tamper with it, as we would have to charge you for any repairs needed. You can restrict the opening of the window to a very narrow gap using the two catches top and bottom. • You are very welcome to bring posters, photos and pictures to make your room feel homely. Each room has a large notice board. Please do not attach anything to the painted walls with sticky tape or with blue or white tack; they will damage the paint – and your deposit! We recommend the use of Gripping Stuff tape or Washi tape. Both are available to buy from Reception (12). Each flat has its own post box in the Reception area. When you place an online order, please make sure you give your phone number. We will sign for parcels if there is someone in the office, but we cannot guarantee that there will be someone here between 11am and 5pm, so please supply your phone number in the delivery information for you order. Parcels will be placed in your flat’s postbox or, if too large, put on top of the postboxes. Any uncollected mail will be returned to sender at the end of each term. • bedding. If you prefer, you will be able to buy a bedding pack (duvet, pillow, sheet, duvet cover and pillow case, cost £21) when you arriveA few freshly laundered bedding packs are available at £12 each (when they’re gone, they’re gone). Please email at least a week before your arrival to reserve a pack. • chargers and leads. The trunking above the desk includes 2 USB sockets as well as standard three-point sockets. We will supply a data cable for the data point giving you access to the full range of services provided by StudentCom. • any pets (including insects, reptiles or fish). If you do bring any of these items, you will be asked to remove them. If you don’t comply with this request, you may be asked to leave Heathfield. Please ensure your electrical equipment is fitted with a standard UK 3-pin plug fitted with an appropriate fuse, and meets UK safety standards. We strongly recommend that you wait to buy all but the most essential items until after you arrive – you may find you can save money by sharing with your flatmates. Please note that your personal property is not insured at Heathfield, so you will need to arrange this yourself. There is useful advice at MoneySupermarket.com, and Endsleigh is a leading provider. Heathfield does not provide TVs. If you are planning to watch TV programmes on any device (see Section 7 below), you must buy a TV licence. You can find out more at www.tvlicensing.co.uk/students. Accommodation in university residences is often allocated only to first-year students. We at Heathfield hope the mixed community here will foster a good transition, either from home to a new life in a university environment, or from on-campus to off-campus. The six flats in Heathfield do not have locked front doors. We hope that friendships and support networks will develop not only within flats but across the whole community. Your room will have a lock, allowing you privacy and security. We hold occasional social events. We hope that our residents join in these, although there is of course no compulsion to do so. We welcome practical and achievable suggestions – especially if you are willing to do the organising! To get to the Heathfield Centre, turn right instead of left once you have come through Reception. The large U-shaped room has a small servery, and there are toilets across the hallway. The Heathfield Centre is an important feature of Heathfield. We expect both management and residents will organise events, e.g. seminars, film nights, tennis-table tournaments, meetings etc. We welcome displays of artworks in the Centre, both in the hallway and in the Centre itself. The Centre is booked on occasion by non-residents for events, community groups, and private functions. These are recorded in the Heathfield Centre booking diary in Reception. At all other times it is available to Heathfield residents as communal space. It has a table-tennis table, and there are games and puzzles available. To ensure the security of Heathfield Student Community Home during events for non-residents, there is a coded lock on the door back into the main building. It has the same code as the door from Reception into the main building. For your own security and that of your fellow residents please never give this code to non-residents. a. There is a charge of £20 per booking for cleaning, all or some of which may be waived at our discretion if the whole centre (including the toilets) is left tidy and spotlessly clean and all rubbish and waste for recycling disposed of appropriately. b. Parties and events must be booked at least 7 days in advance, using the Heathfield Centre booking diary kept in Reception. Allocations will normally be on a 'first come, first served' basis. However, we reserve the right to use our discretion if there are conflicting bookings. c. Guests should arrive and leave via the Heathfield Centre doors, not through Reception. d. Guests (maximum 50) must sign the Heathfield Centre visitors register on arrival, in case of an emergency. e. Events may not go on beyond 11.30pm. f. Keep the noise levels down. Our neighbours in Pockthorpe Gate are not far away and are entitled not to be disturbed. The Garden Room is off the ground floor corridor, and opens into the central garden area. It is available to all our residents as a place to study outside your own room. It has wifi coverage, and is intended principally for personal or group study. You are welcome to invite guests, perhaps a project group, to come and work here with you, but please always ensure they sign in at Reception so we know who is in the building if there is an emergency. Please always show consideration for other users of the Garden Room, especially in exam periods. Do enjoy the enclosed central garden - when the British weather allows! You are welcome to use one of the barbeques, but always clean it afterwards. We’re not that keen on ‘rules’, but if there is one at Heathfield it is that we ask all our residents to be thoughtful and considerate not only towards their neighbours in our community but also to our local neighbours in Cannell Green and Pockthorpe Gate. And of course, please remember that no smoking is permitted anywhere in the building. Please don’t smoke at your window. You are welcome to smoke in the central garden. Please always use the pillar ashtrays provided and don't drop stubs on the ground! Occasional guests are welcome, but only with the agreement of your flatmates, and for a maximum of three nights in any term. Please ensure your guest signs the register in Reception so that we have a record of who is in the building if there should be an emergency. The behaviour of your guest is your responsibility, so please show consideration for the other residents of Heathfield. If your guest causes any damage, you will be held responsible. Please always meet guests at the front door and, for the security of all our residents, never reveal the inner door code to anyone, even your most trusted guests. The laundry room has token-operated washing machines and dryers, and there are drying lines in the central garden. The tokens are on sale from Reception during opening hours (9–11am and 5–7pm). The iron in the laundry room is free to use, but please remember to switch it off at the wall! We encourage you make contact with your flatmates before moving in by joining our private Facebook group Heathfield Norwich students. Your membership will be approved promptly. • Not everyone likes the same music, so don’t impose yours on your next-door, upstairs or downstairs neighbours. If you can hear your music from outside your room, others probably can too. • Please be considerate when moving around. Doors to flats and bedrooms may slam, especially if windows are open, so please close them carefully. If you are concerned about a noisy neighbour, please speak in confidence to us in Reception in the first instance. If it’s outside office hours, use the out-of-hours phone number. This is the most important shared space in the flat and can be where beautiful friendships start. However, it’s also where differences in lifestyle and habits are most keenly felt! Why not make the most of that and start the year by organising a shared meal? You could discover new and interesting dishes, start to get to know each other, and maybe find out particular preferences. Each resident has their own lockable cupboard in the kitchen, labelled with your room number, so there is no need to put your name on the door – please don’t. There is one labelled fridge shelf and one freezer compartment per resident. Please do not overfill the fridge-freezers, as this might cause them to malfunction. Use your cupboard to store any food that does not need to be kept in the fridge. In a shared kitchen, it is the responsibility of each resident to ensure everyone else is comfortable using it. Please show consideration for your flatmates. • Food and food waste left lying around on the worktops or the floor attracts vermin (ants – and worse). Always dispose of peelings and leftovers immediately in the appropriate kitchen bin. • Always wash and clear up after yourself as soon as you have finished using the kitchen. Leaving it for someone else to do won’t earn you friends! Remember that the flat is for its residents. However, you are welcome occasionally to invite guests to share a meal, provided your flatmates are in agreement. • Clear and clean the kitchen worktops when you have finished preparing your meal. • Sweep (and wash) the floor if necessary. • Regularly check your shelf in the fridge to ensure that food is still fresh, and throw away anything that is no longer good. Does your shelf need cleaning? There is a supply of cleaning materials, including bin bags, in the cupboard under the left-hand sink in each kitchen. Please use them and notify Reception if anything needs replacing. A list will be posted in each kitchen nominating a responsible resident for each week of each term. That person must regularly check that the bins are not overfull, empty them whenever necessary. The large bins are at the front of the property, and they are emptied on Wednesday and Friday (General - blue) and Thursday (Recycling - green). We ask you to pay particular attention to recycling. Norwich City Council has a good recycling service. There is a notice in each flat kitchen showing what can be recycled. Please MAKE SURE YOUR ITEMS FOR RECYCLING ARE CLEAN AND DRY. It is fine to use a liner in the Recycling bin and to carry out the recycling in that bag. However, the recycling should go into the big green bin loose, so please empty it into the big green bin and re-use the line in the General waste bin in your kitchen. There are boxes for recycling batteries and printer cartridges in the post room. The responsible resident for the week should also check daily that the kitchen is in a clean and ticy state. If someone has failed to clear up after themselves, ask them to do so. Kitchens will be inspected at least every Friday (but probably more frequently) and if they are not in a satisfactory condition all residents in the flat will be issued with a warning. If the situation doesn’t improve within 24 hours a second warning will be issued. If the kitchen is still in an unsatisfactory condition after a further 24 hours, the cost of extra cleaning will be divided between the residents and charged to their deposits. We very much hope this won’t have to happen more than once! The shower rooms all have a cork bath mat, a step stool, hooks on the wall and a squeegee to keep the glass panel clean. The design of the shower cubicles should prevent water getting onto the floor. However, please ensure that floor is not wet after you have used the shower. Out of consideration for our houskeepers, please use the squeegee each time you shower to prevent a build-up of lime-scale on the glass panel. Some of the toilets are electronically operated. Please use the appropriate level of flush to help us ensure that Heathfield is using water responsibly. Always leave the toilet as you would wish to find it. There will be a supply of toilet paper in each toilet at the start of the year, but thereafter it is the responsibility of flat residents to provide paper. Only natural waste and toilet paper should be put down the toilet. Please dispose of sanitary waste and wipes in the bins provided. NEVER use kitchen roll as a substitute – it creates blockages – and never put wipes down the toilet. Please dispose of sanitary waste and wipes in the bins provided. Each resident is responsible for keeping their own room clean. We may do spot checks from time to time to ensure this is being done. In particular, we recommend that you are careful about leaning against the wall while sitting on the bed. We all do it, but it can make the wall grubby, and if that needs repainting your deposit will suffer. A vacuum cleaner is available on each floor. Please let us know if it is not performing as expected – it probably needs clearing of long hair etc. If the common parts of your flat are not being kept sufficiently clean between visits by the housekeepers or when inspected, a series of warnings will be issued (as described in 4.2.5) and the residents of the flat could incur shared charges for any extra cleaning that has to be done. There is secure bike storage at Heathfield, and a bike is by far the most convenient way to travel around Norwich. We recommend that you use a D-lock to keep it safe. The city’s Pink Cycle Route goes past Heathfield and links us to UEA. You can download the Norwich Cycling Map as a pdf. A limited number of parking spaces are available at Heathfield, at a cost of £12/month, on a first-come-first-served basis. Two spaces are reserved for disabled students, free of charge. You can download maps from the websites of the principal providers, First Bus (Network Norwich) and Konectbus. First Bus have a free app, mTickets, which enables you to buy and store tickets using your smartphone. It takes about 12 minutes to walk to Norwich Station, where you can catch buses 25/26 to UEA regularly throughout the day. The University has arranged heavily discounted travel for its students. There is no direct bus connection to NUA. It takes up to 15 minutes to walk to the university along the attractive riverside path, and less to get there by bike. Our provider, Glide, include as part of the contract a ‘noticeboard’, which we may use to communicate important messages, so please keep an eye on it. Heathfield provides high-quality connectivity throughout the building. Your room has a data point for a wired connection (a data cable is provided), and there is wi-fi throughout the building. The provider has undertaken to provide an overall 10Mb increase in bandwidth year by year. Please follow the instructions in the leaflet included in your Welcome pack. It contains information about the 24/7 Glide helpline and the password you will need to sign up, so keep it handy. It generally works best if you set up your account on a laptop before accessing it via your phone. Guests are welcome to sign in and create an account as in the section above. The account will eventually deactivate if unused. Each end user has their own account within the Glide system, so your personal information will be secure when you connect via wi-fi anywhere in the building. The package allows each user to connect up to 6 devices simultaneously. Glide also offer VoIP telephony at competitive UK and international rates. Access to additional ViewCom channels can be purchased via your Glide account. Download the free Glide app to manage your account and access help and support. 7.4 Do you need a TV Licence? To watch TV (similar to Freeview) online, download Glide’s ViewCom TV client from their support pages. Please note that it will only work over a wired connection, and that you must have a valid TV licence (3.7). For all our residents, but for international students especially, we strongly recommend that you don’t plan to bring too much with you. In terms of kitchen equipment, for example, you will find the basics already in your flat. If you find you really need something that’s not there you will most probably be able to share the cost with your flatmates. The What to bring section on the Your Accommodation page gives useful advice. Having welcomed international students as guests in our home for many years, we have learned that those from warmer countries especially are surprised at how cold it can be in the East of England. The wind blows over from the Urals with nothing to stop it in the great plains of northern Europe! So do ensure that you have enough layers of clothing to keep you warm not only outside but also indoors – it’s not always warm, even in mid-summer. The electricity supply is the UK standard (240 volts/50 Hertz). If you are coming from overseas please ensure your electrical equipment is fitted with a standard UK 3-pin plug fitted with an appropriate fuse, and meets UK safety standards. Most UK wall sockets (and all the sockets in Heathfield) are controlled by switches. The safe procedure is to put your plug in the socket before switching the socket on. Report any defects or maintenance issues in the Repairs Book kept in Reception. The necessary repair will be carried out at the earliest practical opportunity, either by the management or by their appointed contractors. Except in an emergency, we will give you 24 hours notice if we need to go into your room. If we need to go into your room in your absence, we will let you know we have done so. Report urgent issues (e.g. water leaks, broken windows) immediately to Reception or via the duty phone number. Do not attempt to repair any electrical equipment yourself, for example in the kitchens. Always report any malfunction. A botched or inappropriate repair will be charged for out of your deposit. If you need help, we hope you’ll feel able to call on your neighbours in Heathfield. You can also come and find us (David and Sarah) if you need to. Your university offers a range of specialist help and support services. All UEA students must register either with one of the doctors in the University Medical Service (details in your university registration documentation) or with a local medical practice (see 10.2.1 below). The university’s dental practice is in the Medical Centre. There is also a dental practice, MyDentist, very near Heathfield in Barrack Street. The UEA Student Support Service is available on campus, on Upper Street, opposite Waterstones Bookshop. Opening hours are 9am–5pm Monday–Friday. NUA students are expected to register at their local practice, which for Heathfield is Magdalen Medical Practice, Lawson Road, NR3 4LF; tel 01603 477701. New patients registering at Magdalen Medical Practice are required to produce one form of photo ID and one up-to-date proof of address. This can be a rental agreement, bank statement, etc. Patients need to fill in registration forms, provide relevant ID and book in for a new patient health check with the nurse before seeing a GP. There is a dental practice, MyDentist, very near Heathfield in Barrack Street. The university’s Student Support Office offers confidential support. It is open 10am–4pm Monday–Friday. The range of student support offered is described on the college’s Student Centre page. To protect you, your belongings and your fellow-residents it is important to make sure that only authorised people get into the building. Always ensure that both entrance doors, the external one (opened with a key) and the internal one (opened with a number code) are kept closed – please never give this code to anyone who does not live at Heathfield. This is the main security for the building: although all the rooms lock, the flats do not have individual locked access doors. If you have any concerns about someone you see inside Heathfield, report it straight away to Reception or using the duty mobile number. Do not allow anyone you don’t personally know into the building. Always arrange to meet your own guests at the front door yourself when they arrive and ask them to sign the visitors book in Reception so we know who is in the building in case of an emergency. The fire exit doors at the end of each corridor are for emergency use only. They are normally kept locked. The locks will be released automatically if the fire alarm sounds. The fire alarms are tested weekly on Friday afternoons, at or near 5pm. They will be silenced within a minute or two. If the alarm goes on for longer than this, please leave the building by the nearest fire exit. Please always use the IN/OUT boards by the inner Reception door every time you go in and out. This is an essential safety measure. While we hope there will never be a fire, if there is one we don’t want to be risking lives searching the building for someone who is not there. Do not leave expensive items on display or keep large sums of money in your room. If any of your personal possessions are stolen, you should report this to Reception at once. You may wish also to report the incident to the Police, but it will help if Reception is also informed. The Police can be contacted on tel. no. 101. If you wish to make an insurance claim, the company will need a crime reference number from the Police. Always make sure your windows are closed when you go out, especially if you are on the ground floor. If you have taken out insurance for your personal possessions (see 3.6) you could invalidate your insurance if you leave your room unlocked. If you are away from your room for an extended period, leave the curtains closed. We recommend marking your possessions, including your bike, and registering them at www.immobilise.com, the national property register used by the Police. Reception has a stock of marker pens for purchase. We advise you to keep your keys with you at all times. You will be issued with one key for your room and one key for the entrance door. If you lock yourself out, contact Reception or the duty mobile to be let in. If you lose your room key, there will be a charge of £10 for a replacement. If you lose the key to the main entrance, the lock will have to be changed to keep the building secure, and new keys will have to be issued to all residents, so a charge of £350 will have to be made. The end of your tenancy may seem a long way away, but it’ll come remarkably fast! When it’s approaching, we will be reminding you about leaving your room, your flat, your kitchen cupboard, and your fridge shelf and your freezer drawer spotlessly clean. If they aren’t, you’ll find that your deposit will have shrunk by the time you get it back. • do your share of keeping the showers and toilets clean. At the end of the year, just before you leave, we shall ask you to make an appointment for us to inspect your room and agree the inventory with you before you go. This is when we will decide whether there is any damage or other cause to deduct money from your deposit. Your tenancy ends on 19th July 2019. We will return your deposit to you within 30 days after that date. The amount paid will take account of any deductions decided at the end-of-year inspection (12.1). Please make sure before you leave that you have told us how you want to receive the returned money, and the details of the account to which to pay it. We can pay it by bank transfer or by Paypal. • Toilet rolls. You will find 2 in your room when you arrive, but thereafter you need to buy your own. In an emergency, you can buy a roll from Reception at a cost of 70p/roll. This is a legal contract. You will be required to sign it before you can move into Heathfield. We strongly recommend that before you arrive at Heathfield you read all the Terms and Conditions of the tenancy agreement carefully and take note of the contents. The tenancy agreement has been drawn up in collaboration with Home Let and with legal advice, to ensure that it is fair and clear. Heathfield is open to negotiating a longer tenancy period if you need it. Please talk to David Patey about this. We aren’t able to offer a shorter contract, so please don’t ask us. Standard on-campus NUA contracts are 46 weeks. UEA offers on-campus rooms to 1st-year students in a 38-week contract, but from the second year onwards most students live off campus in the private rented sector. Standard private-sector contracts are usually 46 or 52 weeks. They may be cheaper but they are often exclusive of bills. Here at Heathfield we have opted for a 46-week contract inclusive of all bills (except laundry, 4.8), set at a level where we can pay those bills while keeping housing costs affordable.